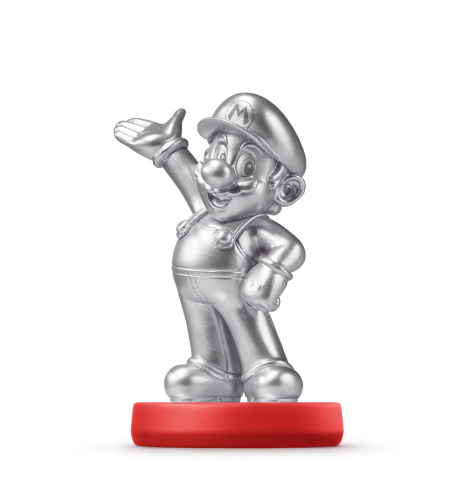 REDMOND, Wash.–(BUSINESS WIRE)–A new Mario – Silver Edition amiibo figure is headed to major retailers nationwide and their respective online destinations at a suggested retail price of $12.99. The silver-colored figure will be available in stores on May 29. As with the other Mario amiibo figures that have already launched, the Mario – Silver Edition amiibo will have the same functionality and work with all games that are compatible with Mario amiibo. For a full list of compatible games, visit http://www.nintendo.com/amiibo/compatibility.